The Bologna Charter 2012 is aimed at strengthening the role of the coastal administrations in the context of European policies and initiatives at the Mediterranean scale referring to: coastal protection, integrated management of the coastal and marine systems (including MSP and Blue Growth) and adaptation to climate change. To this regard, it promotes and outlines a Macro-Project initiative for the current programming period of the European Structural Funds (2014-2020), designed for a coherent Mediterranean macro-thematic and multi-sectoral strategy. The Macro-Project is detailed in the Joint Action Plan developed under the COASTGAP capitalization project. Although the focus is on coastal planning and management and adaptation to climate change, MSP approaches and principles are clearly considered relevant and taken in consideration by the Macro-Project. This includes initiatives where land-sea interactions is highly relevant, as: (b) surveying erosion status and flood hazard along the Mediterranean coasts; (d) identifying, characterising and promoting the sustainable use of strategic resources like the coastal and submarine stocks of sediments; (e) fostering integrated territorial and marine planning along with the principles of ICZM and MSP. How can coastal regional administrations establish a cooperative framework to commonly approach strategic challenges related to integrated management of coastal and marine systems, including climate change adaptation, at the sea basin level? How can strategic goals be translated into concrete initiatives? Are there initiatives for which land-sea interactions is particularly relevant? The “Bologna Charter 2012” (European Regions Charter for the promotion of a common framework for strategic actions aimed at the protection and sustainable development of the Mediterranean coastal areas) was developed within the MAREMED project and with the support of the FACECOAST Med-cluster (Face the Challenge of Climate Change in the Med Coastal Zones). It re-launches the principles of the former Bologna Charter 2007, drafted within the BEACHMED-e project. On 17th September 2012 the Charter was adopted by the Emilia-Romagna Region (Resolution of the Regional Government n. 1346). On 21st March 2013 the Charter was signed in Brussels by 14 regions from different European countries. At July 2016 26 administration/territorial bodies have joined the Bologna Charter plus the Intermediterranean Commission of CRPM (Conference of Peripheral Maritime Regions) that adopted the Charter in June 2013. The Bologna Charter is aimed at strengthening the role of the coastal administrations in the context of European policies and initiatives at the Mediterranean scale, referring in particular to: coastal protection, integrated management of the coastal and marine systems (including MSP and Blue Growth) and adaptation to climate change. The Charter also promotes a Macro-Project initiative for the EU Programming Period 2014-2020, designed for a coherent Mediterranean macro-thematic and multi-sectoral strategy, open also to the South and East Mediterranean coasts. The Bologna Charter is the result of a long lasting and fruitful joint work between coastal administrations that established a long cooperation experience within relevant European projects, as the above mentioned BEACHMED-e, MAREMED and FACECOAST Med-cluster as well as COASTGAP that developed the Joint Action Plan, the operative tool of the Charter. Fostering project-clustering initiatives like FACECOAST. The Macro-Project is detailed in the Joint Action Plan developed under the COASTGAP capitalization project. The Bologna Charter regional multilateral initiative can be capitalised in other EU regional or sub-regional seas sharing similar problems affecting Mediterranean coastal and marine areas and resources. Among its challenging evolution the Charter includes the on-going opportunity to involve no EU countries from southern and eastern Mediterranean, in particular in the Macro-Project initiatives. 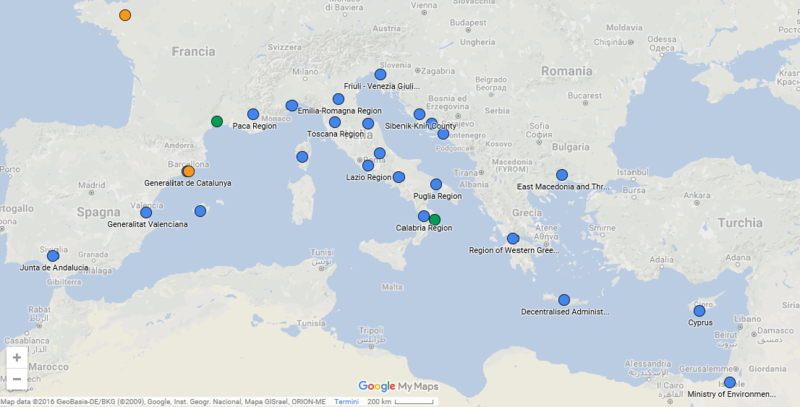 Funding sources: The “Bologna Charter 2012” was developed within the MAREMED project (funded by MED Programme) and with the support of the FACECOAST Med-cluster. It re-launches the principles of the former Bologna Charter 2007, drafted within the BEACHMED-e project (funded by INTERREG IIIC MEDOCC). Direct costs of this practice elaboration are unknown.